Dr. Anthony Kell was born in Newcastle, England. 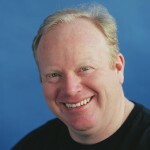 He attended Los Angeles College of Chiropractic graduating with a doctorate degree in chiropractic in 1995. He practiced in San Luis Obispo, California for many years before moving to Phuket to establish a practice in 2010. Dr. Kell enjoys playing golf and many of his patients who are golfers; he provides advice to on golf biomechanics and injury prevention. His approach encompasses compilation of diagnostic and treatment methodologies that treat pain, dysfunction, disease and disability, In the chiropractic profession he is considered a Chiropractic Mixer. Mixer chiropractic practitioners use a diversified treatment approach to care; in comparison, straight chiropractors who comprise the rest of the chiropractic profession are entirely focused on treating spinal subluxations without the incorporation of other therapies. While most of what Dr. Kell does is hands on, he integrates a wide range of diagnostic and treatment technologies, nutritional programs (i.e. natural supplements, diet, and herbs), therapeutic exercise and body based psychotherapeutic approaches to develop a customized solution for an individual patient’s needs. While the body has innate capability of healing itself, there are times when pain and dysfunction become too great requiring intervention to help improve the body’s self correction mechanism. His treatment technique is predominantly manual (hands-on) and involves manipulative techniques to promote tissue repair, normalize structure, better posture and restore function. The uniqueness of his approach is that he is able to address and help all of the different systems in body (i.e. bone, nerve, fascia, muscle, organ, lymph and circulatory systems). Each system may require a specific technique and there maybe multiple systems involved. This can only be determined after a thorough diagnostic physical evaluation. Treatment is given based on findings and may include muscle, fascia, joint, nerve, circulatory vessels, lymphatic structures and/or organs. Booking for treatment in Singapore: choose BodyWork Therapies on the Online Booking page. Maintenance of these three curves is utmost importance to maintain spinal cord and nervous system health as well as degenerative spinal changes. Chiropractic biophysics (CBP). 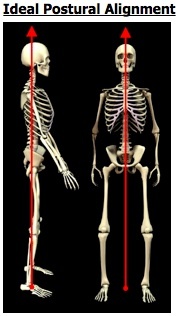 CBP Technique emphasizes optimal posture and spinal alignment as the primary goals of chiropractic care while simultaneously documenting improvements in pain and activities of daily living (See Figure 1). The uniqueness of CBP treatment is in structural rehabilitation of the spine and posture. The second technique is Structural Integration. Structural Integration focuses on the body’s protective layer, called fascia (also known as connective tissue). Muscles are contracting tissues that give the body and organs physical movement. The fascia surrounds the muscles, bones and organs in the body. The fascia gives muscles their shape and the body its structure. Structural Integration aligns and balances the body by lengthening and repositioning the fascia. As fascia is lengthened it allows the muscles to move more efficiently. The practitioner will apply pressure to the body, working the entire fascial system in a systematic way. When restricted fascia is released and lengthened the body can return to its structurally optimal position. The continuing pull of gravity, the stress of daily activities and physical injuries can pull the body out of alignment. The fascia gradually shortens, tightens and adjusts to accommodate the misalignment. When the body is out of alignment it creates inefficiency and imbalance resulting in dysfunction. The process of Structural Integration includes balancing the body in segments and achieving vertical alignment from balancing the body from front to back, side to side, top to bottom and inside to outside. The third technique is Somatic Transformations. The somatic transformation exercises help to reverse the effects of aging by improving physical comfort and freedom of movement.When we become injured, we tighten up and protect ourselves. To continue self-protection longer than necessary leads to tension habits, which in turn lead to chronic muscular fatigue, pain, stiffness, pinched nerves, joint damage, and other ills. Our self protection becomes the source of our ills. It is not the passage of time, but the accumulated effects of injury, that cause many of the signs of aging.Somatic exercises help us discover and release obsolete tension regardless of how old they are and regardless of how long we have been in pain. With somatic transformations, you can erase chronic pains that have persisted for years, as if by magic. You can regain the freedom of movement you had when you were young. Lastly, Dr. Kell also uses objective lab testing to determine what a client may need nutritionally to help relieve musculoskeletal pain as well as many other metabolic illness conditions that can influence your body.